Safety is of the utmost importance when it comes to the BMW design. The safety and security of BMW drivers and their passengers remain a cornerstone in the foundation of what makes BMW a top-notch brand for luxury sports cars and SUVs. There has been quite a few updates and changes in recent years that benefit the well-being of drivers as well as the vehicles themselves. 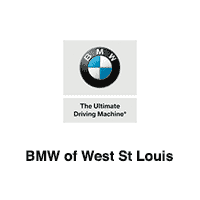 Let’s look at the newest safety features BMW is providing for drivers in Manchester, St. Louis, Wildwood, Chesterfield, and Creve Coeur. When you’re on your town roads or local highway, it’s less than common to slightly drift here and there, but it happens. Especially if you happen to be multi-tasking. With new BMW models, there are a variety of different options that promote safety in your lane and the lanes beside you. With the Steering and Lane Control Assistant, you can operate your car knowing you will be alerted if you begin to veer out of your lane. Also, the Traffic Jam Assistant can be activated for assisting the driver in those bumper to bumper road delays. This is a beginning step into automated driving because this function maintains a safe distance from surrounding vehicles while acting on any potential interference. It also allows for steering assistance if needed. This function offers side collision protection and will overcompensate toward the correct lane direction if you should unintentionally veer away from your designated lane. By using the Lane Departure Warning, if you happen to switch lanes without using your signal indicators, the steering wheel will alert the driver by vibrating. This feature will also warn you about potential collision risks when switching lanes. A great benefit when forgetting to check your blind spot or the unexpected speeder coming from behind. This is a warning that alerts the driver if the vehicle in front of you suddenly brakes to a stop. The brakes will engage automatically and help the driver to avoid a rear-end collision. a great engagement should you happen to be daydreaming while driving. You never know when you will need it, and if you do, you will probably need it more than ever. BMW has installed an automatic emergency call function that sends off an immediate call to emergency services when your car is involved in an accident. A great feature to have if you are incapacitated during a collision. Driver safety is most important when traveling in the dark. The option for night vision is now available for BMW drivers. With thermal imaging, drivers can now see people and larger animals in the dark and will provide the driver with a warning on the Head-Up Display. If a close-call situation were to occur, the brakes will begin to engage and an audible warning will alert the driver. Though these are just a few of the many safety options BMW provides, these features are up to date and aren’t seen in many vehicles today. BMW continues to lead in innovative safety measures to keep BMW drivers aware and ready, as well as keeping the drivers and pedestrians around them safe.